Exploring the Myths of PVC | Polyflor Canada Inc.
Polyflor products are not only responsibly made but the ingredients are also responsibly sourced. Our core environmental vision and values are based around transparency. We conform to all the current leading global environmental standards that independently govern and control our product type and product use via third party assessments. In Europe complex legislation exists that governs all 28 member countries of the European Union plus the United Kingdom of Great Britain for the strict control of chemicals with possible harmful effects on both human health and the environment. This legislation is known as REACH (Registration, Evaluation, Authorization and Restriction of Chemicals). None of the ingredients that Polyflor use in any of their products appear on the list of materials governed by this legislation. All raw materials used in the manufacture of Polyflor vinyl flooring are responsibly sourced from suppliers who, like Polyflor, are ISO 14001 certified or demonstrate robust environmental management. 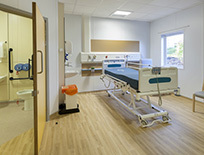 Polyflor follows the strictest industry regulations ensuring no harmful substances, such as formaldehyde; lead; cadmium; mercury or hexavalent chromium are included in our vinyl. At Polyflor we make it our business to manufacture products that go above and beyond what is required and expected. Vinyl flooring is the dominant product type in many developed countries in the world including the major economies of Europe, Africa and Australia. Vinyl flooring is the preferred option in these countries for both the healthcare and education market sectors amongst others. So why in some parts of the world does PVC still get a bad rap? We believe it's all about education. PVC is a synthetic material derived from natural resources (oil and salt) like many others used in our modern world, and is one of the most scientifically investigated, thoroughly researched and understood substances on the planet. PVC is the worlds most versatile and widely used plastic. PVC is used in a huge variety of applications ranging from essential services such as water supply, sewage, supply of power, etc. to housing, transportation, consumer products and electronics. Everything from intravenous tubes to blood bags are made from PVC. Your car dashboard to your bank card. The pack your sandwich or salad is contained in to the bottle of water your drinking while reading this page! The applications are generally divided on the basis of the hardness of products, e.g., rigid, flexible. PVC products feature most prominently in those items requiring long service lives. The magnitude of CO2 emission for the material we use throughout its lifecycle, from production to consumption and disposal, is an important factor when considering the global warming issue. PVC is proven as a material with minimal environmental load in terms of CO2 emission. PVC products also contribute significantly to energy efficiency through low thermal conductivity. For example PVC window profiles have three times the heat insulation efficiency of aluminum profiles. They cut down energy consumption for heating and air conditioning. Polyflor flooring - chlorine is chemically bound within vinyl and remains so during the process and the life of the flooring. Ethylene comes mainly from gas or oil, but ethylene from biomass is also used. Ethylene is also a natural product, given off by ripening fruit. Only 4% of barrel oil is used for all plastic products globally and vinyl flooring uses only a tiny fraction of this, with most oil used in the production of viny flooring used for heating and travel consumption. Plastics are often perceived as symbols of throwaway or single use. However, in reality plastics are durable materials that do not rust or corrode. PVC is an exceptionally durable plastic, used for instance in water supply and sewage pipes, which can last for over 50 years. Most of PVC products are used in durable applications. More than half of all PVC products are long life products with service lives of over 15 years greater. PVC is a material well suited to recycling. It has the longest history of recycling among plastics, and it is most advanced in mechanical recycling. For example, in Japan about 68% of end-of-life agricultural films (agro-films) was recycled in 2005 and used for flooring, etc. In Europe, more than 260,000 tons of post-consumer products were recycled in 2011 through industry-sponsored schemes. All materials, and PVC is no exception, have sustainability issues, arising both from their specific properties but also from the ways in which they are used and disposed of across the life cycle. Where PVC differs from other materials is that the PVC industry perhaps has a better understanding of its product’s sustainability than manufacturers of most other synthetic materials; and is working systematically to address these to ensure that it will continue to play a useful role in a more sustainable future for mankind. The new commitment of the European PVC industry, VinylPlus, addresses emissions during production, recycling and sustainable use of additives, as well as energy consumption, potential use of renewable raw materials and sustainability awareness across the value chain. Fact – All of Polyflor’s products and ingredients fall outside of REACH categorization. Vinyl is the most versatile, researched and understood product with many uses including IV tubing and blood bags used for storing human blood for transfusion for over 50 years. Fact – Everything off gasses. Polyflor vinyl passes all global tests for voc’s reporting low and acceptable emissions. Fact – All Polyflor products are subject to the strictest industry regulations ensuring no harmful substances, such as formaldehyde; lead; cadmium; mercury or hexavalent chromium are included in our vinyl. Polyflor uses ortho-phthalates and non-phthalate alternatives all of which are non-classified by REACH. Formaldehyde is commonly found in carpeting product as well as in most composite wood products like particleboard and plywood. Fact – Dioxins are harmful environmental pollutants by-products of both industrial and non-industrial as well as natural processes usually involving combustion. The levels of dioxins produced by vinyl are so small that even if vinyl were stopped being manufactured levels of dioxins in the environment wouldn’t change. Other sources of dioxins include wood burning fires, forest fires, car exhausts, volcanoes and manufacture of most other building materials. According to the US Environmental Protection Agency (EPA) levels of dioxins are approximately 7 times less today than they were in 1987 however during this period the use and production of vinyl has almost quadrupled! Fact – Vinyl is 100% recyclable and in 2011 over ¼ million tons were recycled in Europe alone. Polyflor was one of the founding members, and continues to be a funding member, of Recofloor an industry recycle scheme operating successfully in many countries around the world. Fact – All waste including food waste has the potential to create dioxins during the incineration process. If a recycling program isn’t available for the waste vinyl and it needs to be incinerated then modern incinerators are designed to closely monitor and control the generation of dioxins created through incineration of not only vinyl but all waste material. Fact – All Polyflor products are tested to all relevant manufacturing requirements and standards. Vinyl is actually inherently flame retardant and therefore once removed from a flame will self extinguish. This is not the case for other flooring product types. This is one of the main reasons why vinyl is the material of choice in electrical wiring and conduits.